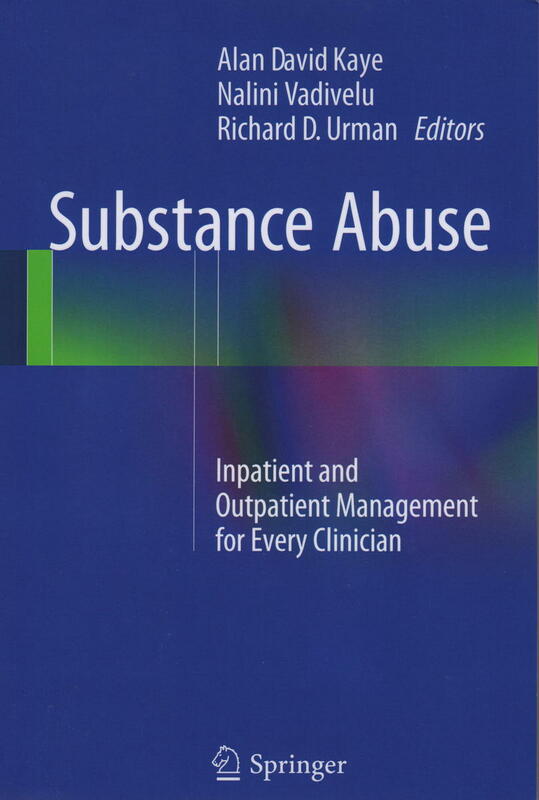 Dr. Peter Blume has recently published another Chapter in the textbook Substance Abuse:Inpatient and Outpatient Management for Every Clinician, published by Springer. He was a co-author on Chapter 38, Podiatric Problems and Management in Patients with Substance Abuse. This book is written for any clinician who encounters substance abuse in a patient and wonders what to do. Experts from a cross-section of specialties and health professions provide up-to-date, evidence-based guidance on how non-expert clinicians can recognize, understand, and approach the management of substance abuse in their patients. They detail the range of treatments available and whether and how they work. The central importance of using a carefully selected multimodal approach that is tailored to the individual patient is emphasized throughout and illustrated in case scenarios from actual clinical practice.